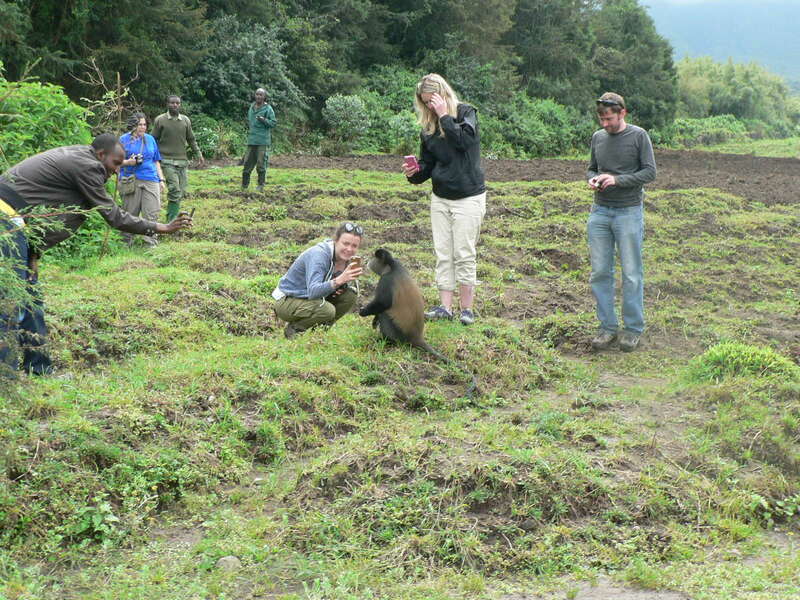 Visit Rwanda on this 10 Days Rwanda Wildlife Tour and explore the best of tourist destinations in this land of a thousand hills. On arrival at Kigali International Airport in Rwanda, you will be received by one of our tour guide who will transfer you to the hotel for overnight. Bed and breakfast. Early morning pick up by our company tour guide who will transfer you Kigali for a city tour and visit the local markets, art and craft shops, Kigali Genocide Memorial Centre. Later after the city tour transfer to Volcanoes National Park driving through a beautiful country side and a home to the mountain gorillas, arriving around Volcanoes drive to your lodge for overnight. Gorilla Volcanoes hotel ( midrange facility), Fatima Hotel ( Budget facility. After an early morning breakfast, you will transfer to the park headquarters together with your packed lunch early enough to be briefed about the code of conduct while with the gorillas. This will be followed by entering the forest in search of the Golden Monkeys . After back to visit local village community. Overnight in your hotel. Have an early morning breakfast and then proceed to the park headquarters to trek mountain gorillas. After you will be transferred to Kivu lake for enjoying the beach. Have a morning breakfast and then go for boating then proceed on a transfer to Nyungwe National. You will enjoy scenic drive to Nyungwe. Arrive in time for lunch and an afternoon relaxation enjoying the Lodge’s amenities and also an evening tea ceremony. Nyungwe forest national park located in southwestern Rwanda is among the diverse ecosystems in the country a home to a number of primate species. Depart with packed breakfast, drive to Cyamudongo forest at 05:00 am go for Chimpanzee Trekking back for Lunch at the Lodge, afternoon Canopy Walk the most incredible adventures you will ever have. Nyungwe forest national park located in southwestern Rwanda is among the diverse ecosystems in the country a home to a number of primate species. There are a number of primates in this forest, which include the chimpanzees and a variety of monkeys that mainly include the l’hoest monkeys, colobus monkeys, red tailed monkeys, velvet monkeys as well as baboons. Have an early morning breakfast and then checkout to proceed to Nyamagabe for visiting the Kibeho Holly Spirit and later continue to Butare for visiting ethnographic museum and royal palace museum before embark on a drive to Kigali. Visit Kigali Genocide memorial centre before be transferred to Kigali. Early in the morning after the breakfast we will head to the Akagera National Park, by arriving , you will enjoy the afternoon boat ride on Lake Ihema that will reward you with views of a large number of hippos, huge Nile crocodiles and a variety of bird species. Akagera is also known as one of the most scenic savannahs in East Africa. You will visit the Giraffe area in the south and the lakes road up towards Birengero. Akagera National Park is home to elephant, buffalo, giraffe, zebra and antelope and many more, Have a stopover for packed lunch at the picnic area. Later embark on a transfer to Kigali for overnight. After breakfast, Basing on the time of your flight, we may enjoy a city tour prior to departing. After this you will be transferred to the airport for your departure flight. End of the 10 Days Rwanda Wildlife Tour. Sightseeing and excursions as described in the itinerary, inclusive of applicable entrance fees.